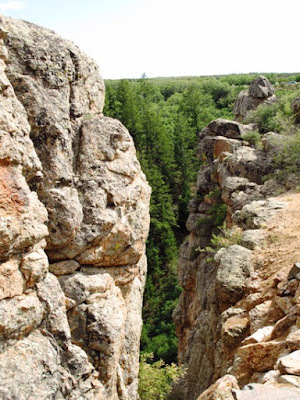 The Gunnison River cuts a path through canyon rock. Standing near the rim of Colorado's Black Canyon of the Gunnison, I’m awed by the immense expanse of rock and the deepness of the canyon. It’s almost overwhelming, especially when I recall that I’ve been to this national park before, but I’ve forgotten how stunning it is. I feel as though I’m seeing the steep cliffs that cradle a ribbon of river below for the first time. 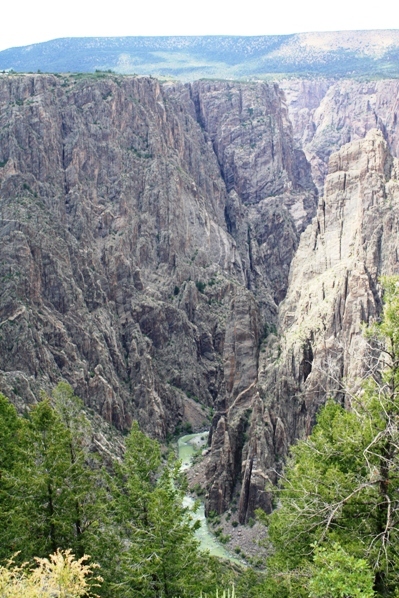 The beauty of Black Canyon of the Gunnison National Park sneaks up on you like that. With some of the oldest exposed rock on Earth--the craggy spires are nearly two billion years old—canyon walls change in appearance as daytime shadows move with the sun. Standing on the edge of the gorge, you see the river, canyon walls, and jagged rocks that have been sculpted by the forces of wind and water. A good starting point in the park is the South Rim Visitor Center, located at an overlook called Gunnison Point. Without going any further you could get a good idea of the geology and the natural forces that created this amazing southwest Colorado destination. Rugged rock formations add to the beauty of the park. From the Visitor Center, you can take South Rim Drive, a well-marked road that covers seven miles from Tomichi Point (the first pull-out where you can view the canyon) to High Point (at 8,000 feet, it’s the beginning of wilderness area). Along the way are 12 overlooks, most reached by walking short trails, but each offering its own special view of the canyon. Although we had only planned a quick visit, the canyon drew us in, and we spent an afternoon fascinated by scenes at overlooks like Chasm View, Painted Wall, Pulpit Rock, Cross Fissures, and the dangerously high Rock Point. Panoramas can only attempt to capture the depth of the Gunnison River, which drops at an average of 95 feet per mile. 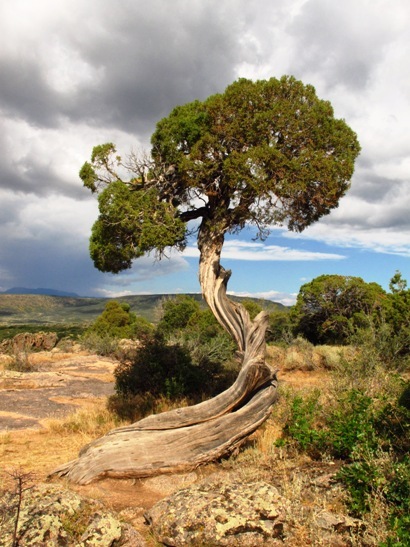 (By comparison, the Colorado River through Grand Canyon National Park drops an average of 7.5 feet per mile). 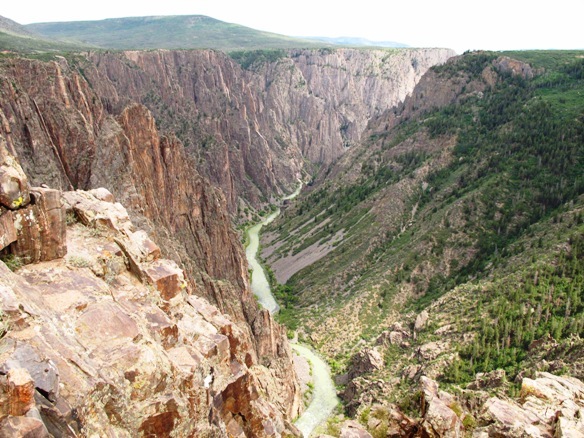 Black Canyon of the Gunnison is one of the lesser visited national parks, but it’s certainly worth a visit, especially during 2016, the centennial year for the National Park Service. If you’re a photography buff, you’ll have plenty of exceptional vistas of Colorado’s incomparable scenery to record with your camera. In addition to driving through the park, visitors can hike, backpack, raft, or kayak. 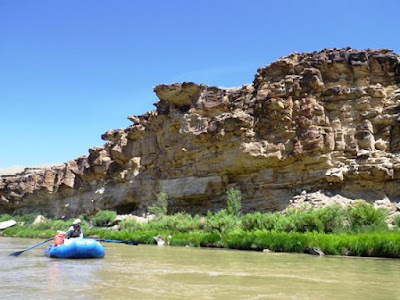 While some sections of the Gunnison River require experienced kayakers, outfitters like RIGS, based in Ridgway about an hour from Black Canyon, offer rafting trips in Gunnison Gorge on the lower Gunnison. Suitable for all ages, this trip is especially fun when the water is flowing from spring run-off. may be included by outfitters. 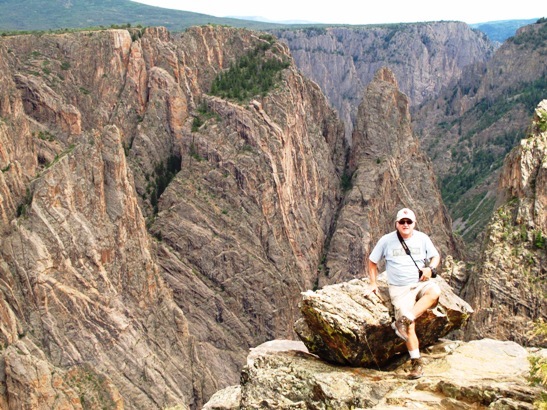 I’m really glad to have a second chance to savor Black Canyon of the Gunnison, a national park whose extraordinary rock formations are now etched in my memory.